For the second consecutive municipal election, bicycles were “front and centre” when Vancouverites went to the polls on Saturday, as the two mayoral candidates vying for incumbent Gregor Robertson’s job tried their best to have it both ways. 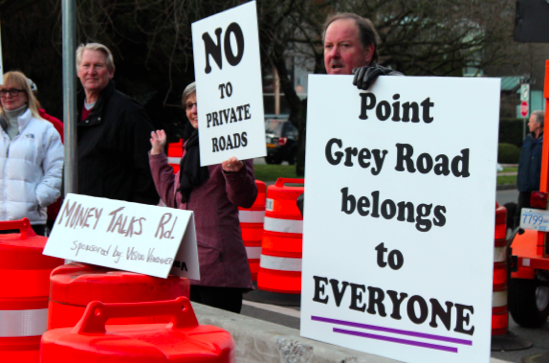 NPA candidate Kirk LaPointe stated on the record he was supportive of safe cycling measures, BUT (and there’s always a “but”) – if elected – was willing to revisit and dismantle the traffic-calmed Point Grey Greenway, because he “didn’t believe the community was properly consulted” (Fun fact: with over a thousand residents attending dozens of open houses over a seven month period, city staff completed more public consultation for this $6-million project than the provincial government did for the recently-approved $3-billion George Massey Tunnel replacement). After stating unconvincingly that she herself rides a bicycle, COPE candidate Meena Wong made some puzzling comments to Business in Vancouver about reassessing the (now five-year-old) Burrard Bridge protected bike lane. According to people she spoke with in Kitsilano, it had doubled their (2-3 km.) driving time into downtown. There’s only one problem with that: the northbound bike lane did not involve the reallocation of any of the bridge deck, and the number of car lanes (three) entering downtown has remained the same since the bridge was built 80 years ago. According to the city’s own traffic counts, the number of vehicles crossing the bridge has been consistently dropping for 15 years. Any perceived congestion is the result of temporary seismic upgrades completed by construction crews this past summer. 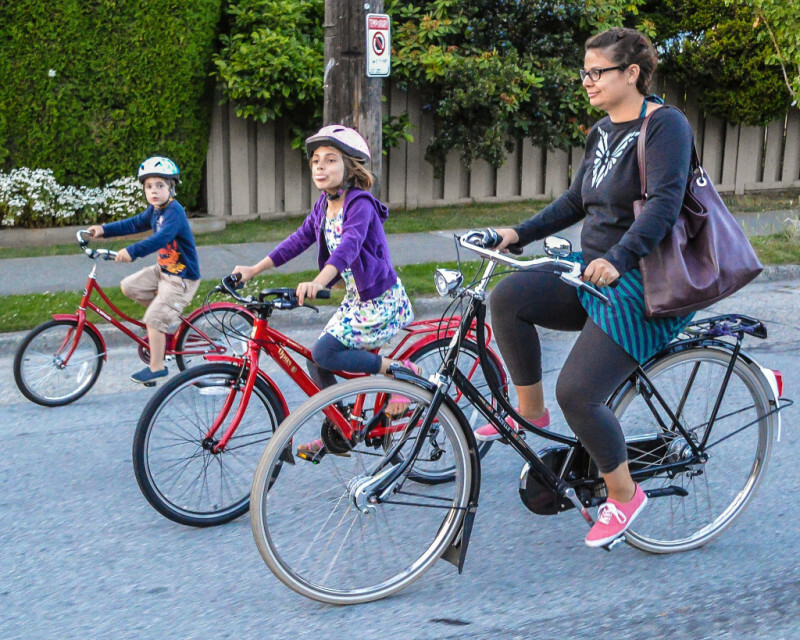 When Gregor Robertson was elected as Mayor of Vancouver in 2008, the city began a crucial shift towards establishing an AAA-rated (all ages and abilities) bike network. Prior to that, the majority of bike infrastructure was kept “out of sight and out of mind”, with door-zone paint and faded sharrows. This was reflected in the type of people on bikes: predominantly aggressive, fit, traffic-tolerant males, who preferred long distance trips on machines built for speed, and dressed the part, too. Robertson already travelled around town on two wheels, but recognized he was an anomaly. In order to grow cycling past a measly 4% mode share, the city would have to appeal to the 40% of adults who are “interested, but concerned” about riding a bike for transportation. The result has been six physically separated bikeways installed on arterial roads over six years. To his credit, Gregor has spent a great deal of political capital to accomplish this, and despite the inevitable opposition to change, was re-elected for a third term this past weekend by a 10,000-vote margin. Although each and every one of these six projects created positive change for the citizens of Vancouver, they were realized in the face of vehement opposition from a vocal minority. These speculative, emotional arguments have become so consistent and predictable, advocates in New York City decided to dub them “bikelash”. To their credit, city staff participated in a positive dialogue with stakeholders, which sometimes resulted in compromise (ie. the rerouting of the Point Grey Bikeway to York Street, at the request of businesses on Cornwall). Speculations were met with facts, and the city did their due-diligence with studies, surveys, and open houses. Most importantly, Gregor understood this “bikelash” was not truly indicative of public sentiment, where the protected bike lanes enjoyed 64 per cent favourability. The various numbers coming from the city reaffirm their investment in AAA infrastructure is paying off in spades, both in terms of ridership and overall safety. Since opening in 2009, the Burrard Bridge protected bike lane has seen a staggering million trips each year, with an average 5% annual increase. 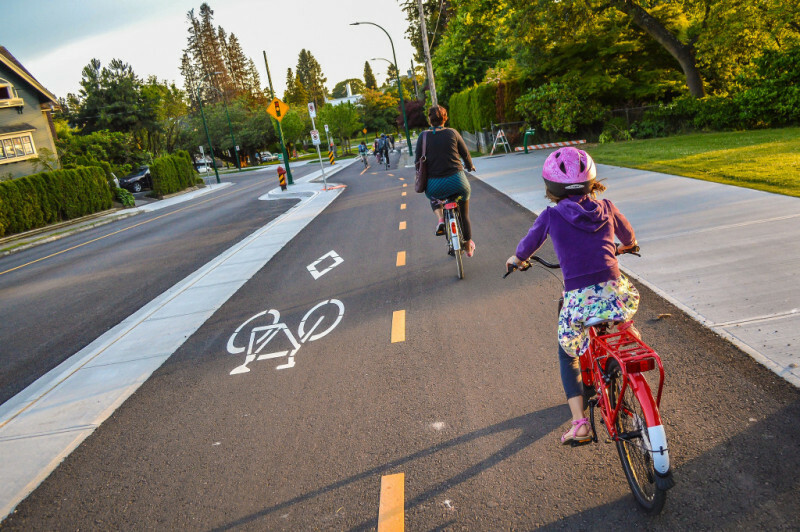 The Dunsmuir and Hornby protected bike lanes each see a half-million trips per year, with those numbers growing 3% and 14% annually, respectively. After opening in June 2014, the number of daily trips on Point Grey Road increased 150%. 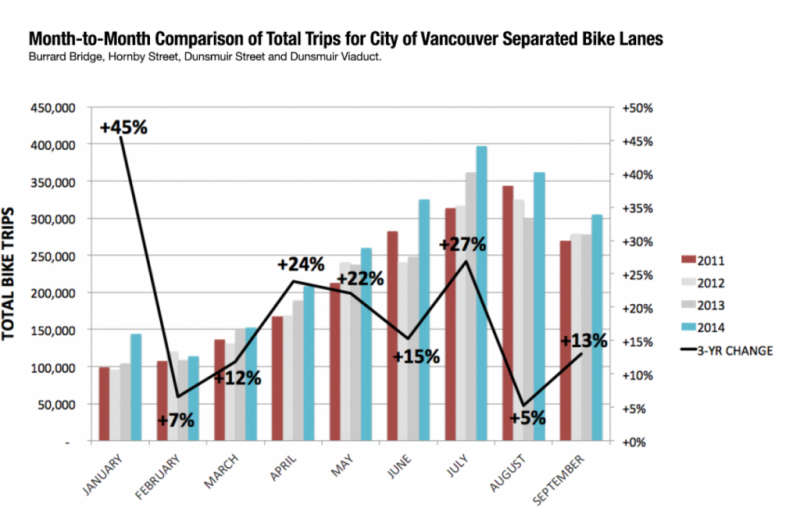 And overall, the number of bike trips in Vancouver has increased 40% between 2008 and 2011. Outside of those quantitative successes, this shift towards safe, separated infrastructure has resulted in a number of qualitative ones, many of which we document through our photography and filmmaking for Modacity. In recent years, Vancouver has seen the emergence of a slower, simpler, more civilized bicycle culture, which has made utility cycling more accessible and diverse. Perhaps most importantly, it’s taken the bicycle off our back streets and put it “front and centre” in the city’s consciousness; with many more women, children, and seniors on bikes. With increased access to safe space for cycling, we are now seeing more women on bikes. As the generally more risk averse gender, women are less willing to ride alongside fast-moving traffic. However, seeing an increase in female riders indicates cycling is becoming safer, more welcoming, and the multi-purpose trips more common to a woman’s lifestyle are being facilitated. Trips to the grocery store, to meet friends, pick up children, shopping, etc. are easier, and – as such – they are more likely to ride their bike than drive. For mothers – the main decision-makers in their household – if they feel comfortable riding their bike, they will feel encouraged to also ride with their children in tow, increasing the overall health of their family. With parents becoming more at ease riding with their children, the residual effect is more kids on bikes as well. Schools throughout Vancouver are encouraging children to ride to school through safe routes programs and bike to school events. The benefits are significant, not only for the child’s overall health, but cycling is shown to have a positive impact on their receptiveness in the classroom, improved focus, and better temperament. In terms of infrastructure, again, it helps to facilitate multi-purpose trips like getting children to and from school, and to programs and afterschool classes. It encourages more time spent together as a family, whether on shorter practical trips, or daylong rides out to Jericho Beach for a picnic on the sand. One encouraging note in Vancouver is that we are seeing older and older riders along the streets and pathways, proving the bicycle is the great equalizer. Those with physical limitations like chronic pain and illness find riding a bicycle easier than walking. It allows them to maintain control over their own mobility, providing an overall sense of health and well-being. Furthermore, many cyclists – including the pair of us – have made the switch to a more upright bicycle, as they experience less strain and pressure on their joints than with a more forward-leaning position. And because they are more comfortable, they feel empowered to ride more often. In general, bicycles have also been very good for business in Vancouver. Businesses located on bike routes that once worried about loss of sales due to parking concerns have experienced a boom in business. Most famously, Steve Da Cruz – a restauranteur on Union Street – went to City Hall in 2013, touting the proposed bike lane in front of his restaurant would be “cutting him off at the knees”. Just twelve months later, he was on the record stating business was better than ever, largely in part due to an increase in tourists venturing to his neighbourhood by bike. Some merchants are even pushing for increased bike parking to encourage cyclists to stop and shop. 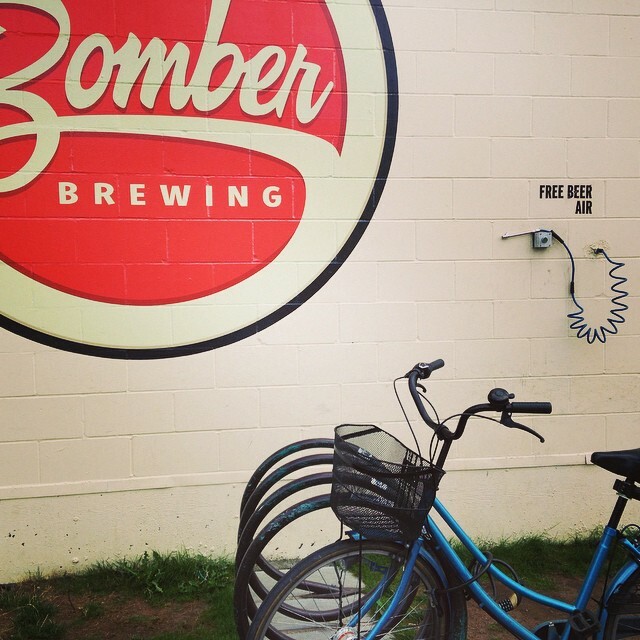 Even local craft breweries have seen the value in opening up along bikeways, catering to people on their way home from work or into the downtown. Perhaps most excitingly, with all of these developments, Vancouver is quickly establishing itself as a world-class cycling destination. Tourists from around the world now flock to our city to experience our serene streets, separated bike lanes, and stunning seawall. Some hotels and other business are beginning to recognize this fact, providing complimentary rentals, maps, and – in the case of the Fairmont Pacific Rim – a bike butler. We are also seeing a rise in curated, themed bicycle tours, which give visitors a unique and intimate way to experience our fair city. 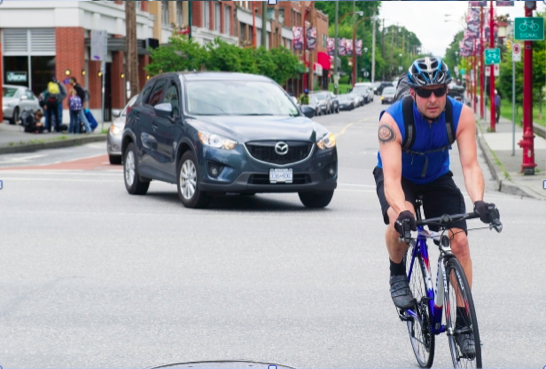 The fact remains that many of the people currently riding a bicycle in Vancouver wouldn’t have been riding one six years ago, nor would they identify themselves as a “cyclist”. Rather they are citizens of a multi-modal city, combining bikes with walking, transit, and automobiles; whereas bold investments in AAA facilities by Mayor Robertson have enabled the former. It’s what keeps young families like ours in Vancouver. We can easily live without the cost of car ownership, helping the city remain affordable and accessible, and increasing our health, wealth and happiness. So with the electorate’s rejection of revisiting years of hard work by our politicians and planners, let’s now consider these bike lanes a permanent part of Vancouver’s transportation network. With the third consecutive mandate given to them, let’s urge Robertson and the Vision-led council to move forward with even bolder steps, such as the implementation of a bike-sharing scheme, and the installation of similar facilities on busy retail corridors like Main Street, Commercial Drive, and 4th Ave. And hopefully, politicians in surrounding municipalities – who have been cautiously watching for any political ramifications in Vancouver – will be emboldened to make similarly brave moves. Building a better city requires our leaders to lead – and as our experience here shows – those risk-takers will be rewarded for their courage.